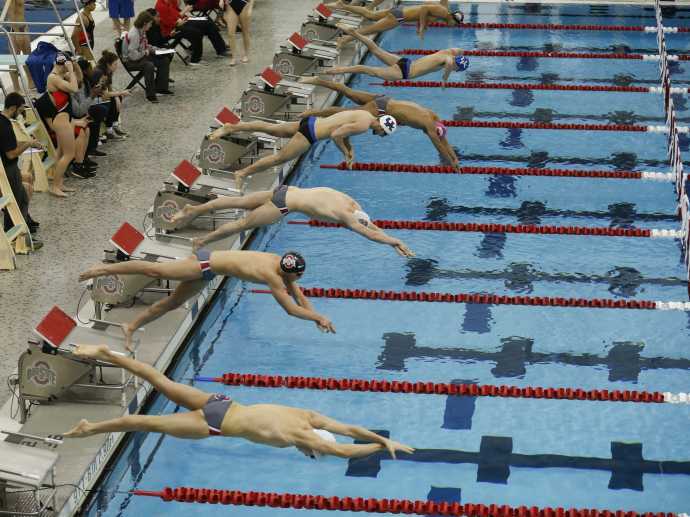 The Bill and Mae McCorkle Aquatic Pavilion was desiccated on October 14, 2005 and consists of the Mike Peppe Natatorium and the Ron O'Brien Diving Well. The Pavilion is part of The Ohio State University’s Recreation and Physical Activity Center. Considered one of the finest competition pools and diving wells in the nation. The state-of-the-art facility has earned a reputation for being a fast pool and is enhanced with the latest technology in aquatic facilities - a facility for some of the fastest times and best diving in the country. In addition to serving as the competition venue for men's and women's swimming and diving, McCorkle also is the home pool to the Ohio State synchronized swimming team. The McCorkle Aquatic Pavilion has hosted many premier swimming and diving events including USA Swimming invitational meets, NCAA Championships and Zone Diving competitions and Big Ten Championships.